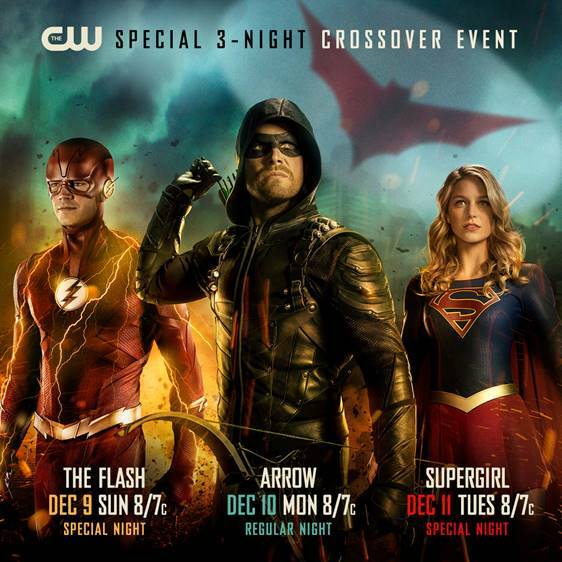 We are pleased to announce the dates for The CW’s epic crossover event with The Flash (12/9), Arrow (12/10) and Supergirl (12/11) this year. Please note for the this year’s crossover, The Flash and Supergirl will swap time periods for this one time only (as indicated here). The crossover will also mark the first appearance of Batwoman (Ruby Rose). Contains All Action-Packed Episodes from the Sixth Season,Plus a Crossover Featurette, 2017 Comic-Con Panel, and More! BURBANK, CA (May 16, 2018) –The CW’s longest-running DC series will be coming to a city near you on August 14, 2018 as Warner Bros. Home Entertainment releases Arrow: The Complete Sixth Season on Blu-ray and DVD. Averaging 2.3 million Viewers weekly for each original episode, Arrow is the #3 series on The CW season-to-date amongst Adults 18-34, behind only The Flash and Black Lightning. * The release contains all 23 exhilarating episodes from the sixth season, plus the show’s 2017 Comic-Con Panel, the crossover featurette and much more. Arrow: The Complete Sixth Season is priced to own at $44.98 SRP for the DVD and $49.99 SRP for the Blu-ray which includes a Digital Copy. Arrow: The Complete Sixth Season is also available to own on Digital via purchase from digital retailers. 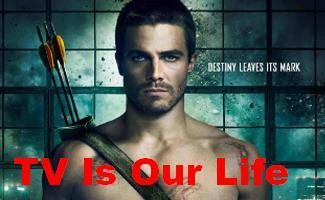 Following the devastating explosion on Lian Yu, Oliver Queen (Stephen Amell) returns home to confront a challenge unlike any he’s ever faced: fatherhood. Oliver is determined to embrace this new role while continuing to serve and protect Star City as both Mayor and The Green Arrow. But enemies past and present, including Black Siren (Katie Cassidy), Vigilante (Johann Urb), Ricardo Diaz (Kirk Acevedo), Cayden James (Michael Emerson) and others, threaten him on all fronts. And bonds within the ranks of Team Arrow—veteran John Diggle (David Ramsey); tech genius Felicity Smoak (Emily Bett Rickards); former police captain Quentin Lance (Paul Blackthorne) and brilliant inventor Curtis Holt (Echo Kellum), plus newest team members Rene Ramirez/Wild Dog (Rick Gonzalez) and metahuman Dinah Drake (Juliana Harkavy)—have become dangerously decayed. The future of Star City is at stake in all 23 of Season Six’s ferociously fast-paced, can’t-miss episodes. About Warner Bros. Home Entertainment Inc.Warner Bros. Home Entertainment (WBHE) brings together Warner Bros. Entertainment's home video, digital distribution and interactive entertainment businesses in order to maximize current and next-generation distribution scenarios. An industry leader since its inception, WBHE oversees the global distribution of content through packaged goods (Blu-ray Disc™ and DVD) and digital media in the form of electronic sell-through and video-on-demand via cable, satellite, online and mobile channels, and is a significant developer and publisher for console and online video game titles worldwide. WBHE distributes its product through third party retail partners and licensees.About DC EntertainmentDC Entertainment, home to iconic brands DC (Superman, Batman, Green Lantern, Wonder Woman, The Flash, etc. ), Vertigo (Sandman, Fables, etc.) and MAD, is the creative division charged with strategically integrating across Warner Bros. and Time Warner. DC Entertainment works in concert with many key Warner Bros. divisions to unleash its stories and characters across all media, including but not limited to film, television, consumer products, home entertainment, and interactive games. Publishing thousands of comic books, graphic novels and magazines each year, DC Entertainment is one of the largest English-language publishers of comics in the world.ARROW and all related characters and elements are trademarks of and © DC Comics. This page can now be found on our Wordpress site! Check out all of the great shows we cover!